Saxony's landscape is pretty diversified and its ideal geographical position close to Saxony-Anhalt, Bavaria, Thuringia, Brandenburg, Poland, and Czech Republic invites for various excursions or sightseeing tours to eastern regions, Central Europe and of course in Saxony. 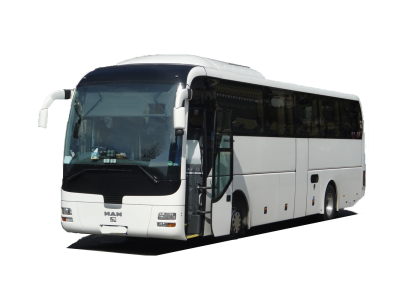 Bus transfers: If you wish to travel by bus to Leipzig, Dresden, Chemnitz, Zwickau, a shuttle from one location to another, or a transfer from Gorlitz to Plauen, from Freiberg to Bautzen, from Radebeul to Meissen, our buses and drivers are at your disposal for any kind of trip in Saxony. Naturally, Germany Bus offers buses of different size with local drivers from any departure point to any destination in Saxony and adjacent lands. We will be delighted to be a part of your travelling from Saxony to Berlin, Warsaw, Prague or Vienna as well as many other destinations in Germany and all over Europe. Sightseeing tours: Apart from the suggestions aforementioned, Germany Bus also offers the possibility to rent minibuses or buses for tourist trips in Saxony. As an example, Dresden and Leipzig are great cities to include in a tourist itinerary; you can therefore count on our buses and drivers to lead you anywhere around on any simple or multi-destinations tour in Saxony. Germany Bus also assures the hiring of an experienced guide or a lecturer as well as providing for other tourist facilities; you just need to ask! Excursions by bus: You had something else in mind? Something closer to an excursion by bus in Saxony's surroundings or to the bordering lands? Our drivers will drive you across Saxony to your desired destination in a comfortable minibus or bus. In this connection, Germany Bus will also order menus for the groups, book tickets for the opera, museums, and attractions and so on. Travels by bus: Our buses and drivers are also appropriate for longer trips in, from or to Saxony. Thus, a journey to Poland, Czech Republic or Austria can be organized by our bus rental company. The tour operator City Tours will be happy to undertake any other task, be it the slight setting up or the full organization of your trip from Saxony to Germany or anywhere in Europe. Dresden Bus: this company offers comfortable buses for all sorts of tourist trips from Dresden from the simple excursion in Leipzig to the sightseeing tour in Berlin or longer journey in Germany, Poland or Czech Republic. Chemnitz coach hire: book a bus with driver for coach tours in Chemnitz and other parts of Saxony. Rent a bus with driver for a transfer to Berlin, Brandenburg, Thuringia, Saxony-Anhalt, Czech Republic or Poland. Rent a bus in Leipzig: passengers from all over the world can rent a bus in Leipzig through this network of coach companies from Saxony.
. Rest assured that we will answer you with an estimate as fast as possible. Do not hesitate to mention any indication that might help us define your request better so to put together the most suitable itinerary for a perfect tourist tour, excursion, transfer or journey in Saxony!